← Regency Jewish Heritage Hosts Purim Celebration! Posted on March 5, 2013	by Judah Gutwein, L.N.H.A. The Medicaid program is one of the least understood of all State and Federal (funded) programs. At Regency Nursing Centers, we are licensed to provide care for all Medicaid recipients and we invest a great deal of time and effort to educate our seniors and their families on the complex nuances of this program. We empower our families and arm them with the necessary tools to recognize their entitlements under Medicaid and we inform them of their benefits. There are many articles written on this subject and some of them are more convoluted than helpful. A great tutorial which I’ve found to be very beneficial, is one published by the Kaiser Family Foundation. Medicaid, the nation’s main public health insurance program for low-income people, covers over 62 million Americans, or 1 in every 5. Medicaid beneficiaries include pregnant women, children and families, individuals with disabilities, and poor Medicare beneficiaries. Without Medicaid, most enrollees would be uninsured or lack coverage for services they need. As a major insurer, Medicaid provides essential funding to safety‐net hospitals and health centers that provide care to underserved communities and many of the uninsured. In addition, Medicaid is the main source of coverage and financing for long-term care, including both nursing home and community-based long-term services and supports. Altogether, Medicaid finances 16% of all personal health spending. 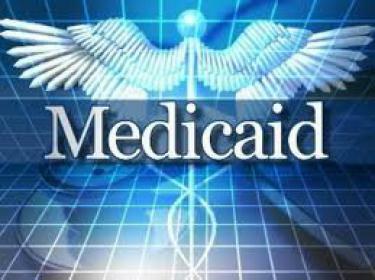 The Medicaid program is administered by states within broad federal rules and is financed jointly by states and the federal government. Medicaid’s structure – extensive state flexibility in program design and guaranteed federal matching funds – have enabled the program to evolve, and to respond to economic and demographic changes and emergent needs. Its structure also facilitates state innovation. Under the Affordable Care Act (ACA), Medicaid will expand in 2014 to reach millions more poor Americans – mostly, uninsured adults. The Medicaid expansion is the foundation of the public-private system of coverage the ACA establishes to reach nearly all the uninsured. However, under the Supreme Court decision on the health reform law, each state will decide whether to implement the Medicaid expansion. To qualify for Medicaid today, an individual must belong to one of the core eligibility groups under federal Medicaid law: pregnant women, children, adults with dependent children, people with disabilities, and seniors. State Medicaid programs must cover people in these groups up to federally defined income thresholds, but many states have expanded Medicaid beyond the minimum requirements, mostly for children. As of January 2013, 19 states covered children up to at least 150% of the federal poverty level (FPL) – $29,295 for a family of three in 2013 – including 11 states with eligibility thresholds between 200% and 300% FPL. All told, Medicaid and the smaller Children’s Health Insurance Program (CHIP) cover 1 in every 3 children. By contrast, adult eligibility for Medicaid is much more limited (Figure 2). In 33 states, the eligibility threshold for working parents is set below 100% FPL; in 16 of these states, parents with earnings equal to 50% FPL have too much to qualify for Medicaid. Historically, non-disabled adults without dependent children (“childless adults”) have been excluded from Medicaid by federal law, and states wishing to cover them have had to use state-only dollars or obtain a federal waiver to do so. This entry was posted in HealthCare News, Senior Care and tagged about medicaid, does medicaid cover medications, how medicaid works, learn about medicaid, medicaid basics, medicaid benefits, medicaid eligibility, medicaid expenses, medicaid facilities in new jersey, medicaid facts, medicaid for children, medicaid for disabilites, medicaid for seniors, medicaid guidlines, medicaid info., medicaid information, medicaid regulations, medicaid rules, medicaid tutorial, securing medicaid, what does medicaid cover, what is medicaid, who gets medicaid, who is covered by medicaid. Bookmark the permalink.